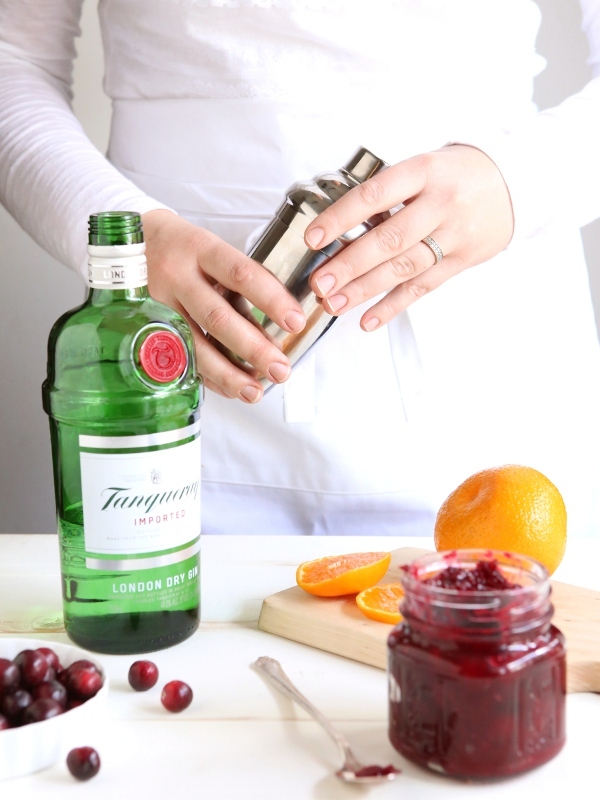 A simple gin cocktail for the holidays, made even easier with cranberry sauce! The holiday season is wonderful for so many reasons but I especially enjoy the parties and gatherings with friends. Maybe it’s because I’m a stay-at-home mom who rarely leaves the house past 7pm, and getting dressed up to sip cocktails with other adults feels like a luxury. For nights when we can’t get out, I sometimes still like to pretend and make my husband and I something fancy to drink while we binge watch Netflix in our pajamas. 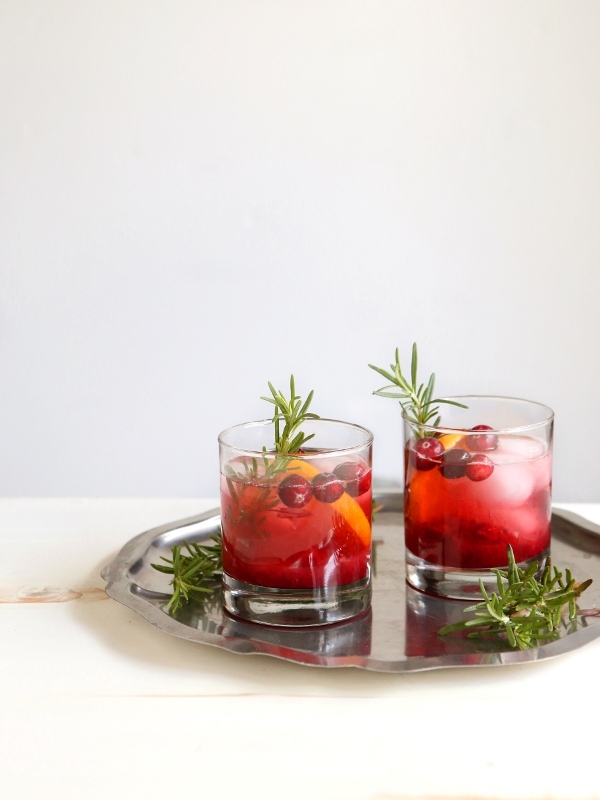 This is a super easy cocktail to prepare thanks to my secret ingredient— cranberry sauce. 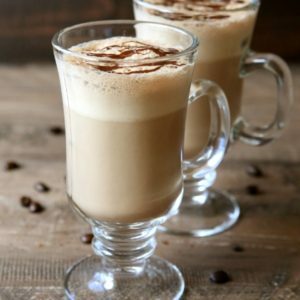 You’re likely to have some leftover this week, so why not turn it into a cocktail and toast the official arrival of the Christmas season? 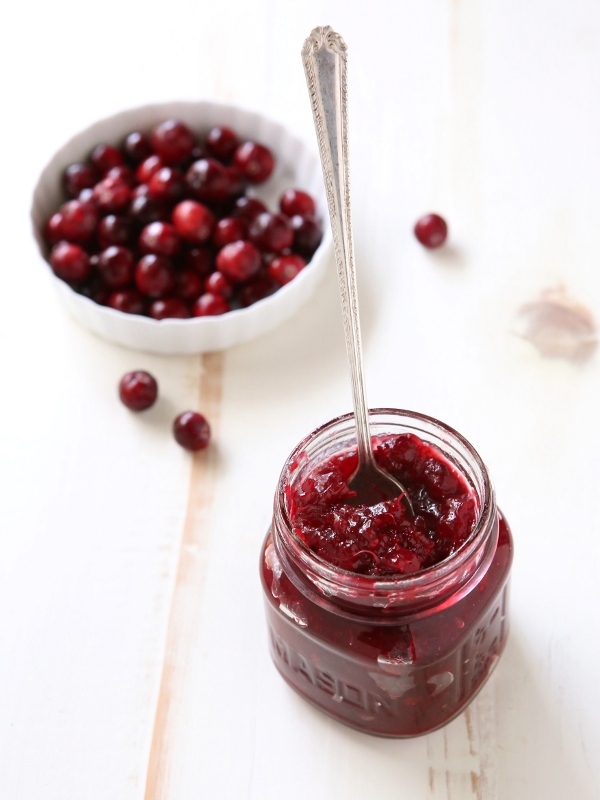 Use whatever cranberry sauce you have, homemade or store-bought. There’s nothing fancy in this recipe, and I encourage you to not forgo the rosemary. It’s not just a pretty garnish! The herbal aroma your nose picks up with every sip really makes this simple cocktail shine. Easy enough for a quiet night in, but plenty fancy enough to serve at a dinner party, this cocktail is a must this holiday season! 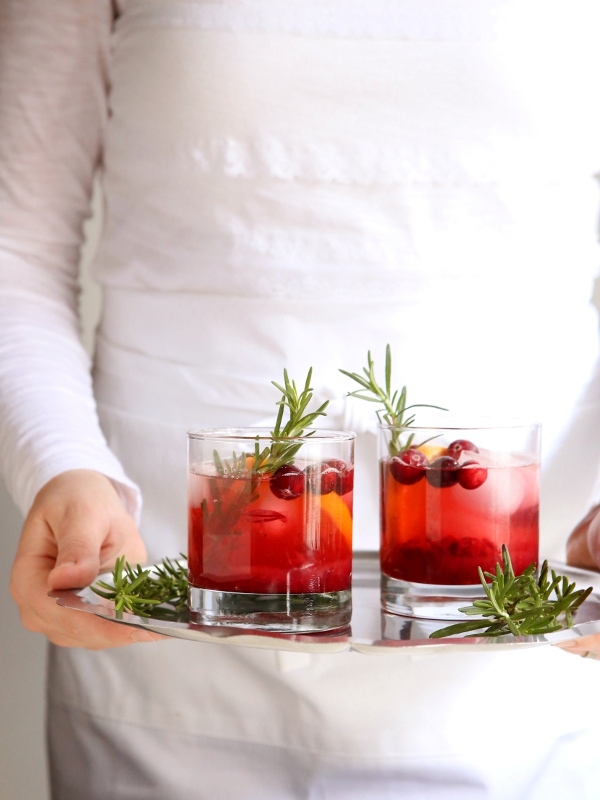 If you prefer a non-alcoholic beverage, simply leave out the gin and orange liqueur and muddle the cranberry sauce directly into the club soda or sparkling water. And if you want your drink a little sweeter, feel free to use lemon-lime soda. A simple cocktail for the holidays, made easier with cranberry sauce! 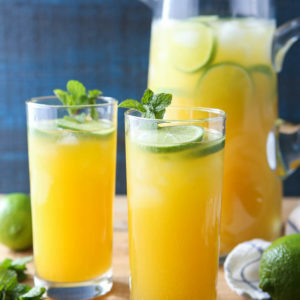 To make it a mocktail, simply leave out the gin and orange liqueur. Add the cranberry sauce, gin, triple sec, and ice to a cocktail shaker. Shake vigorously for 10-15 seconds. Pour into a tumbler class and top with club soda or sparkling water. Garnish with orange slice and rosemary sprig. 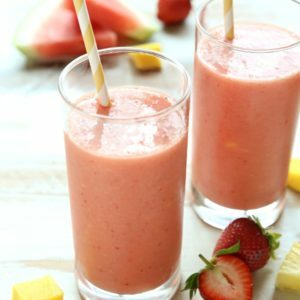 Looks very refreshing! Cranberry is my favorite this time of year. 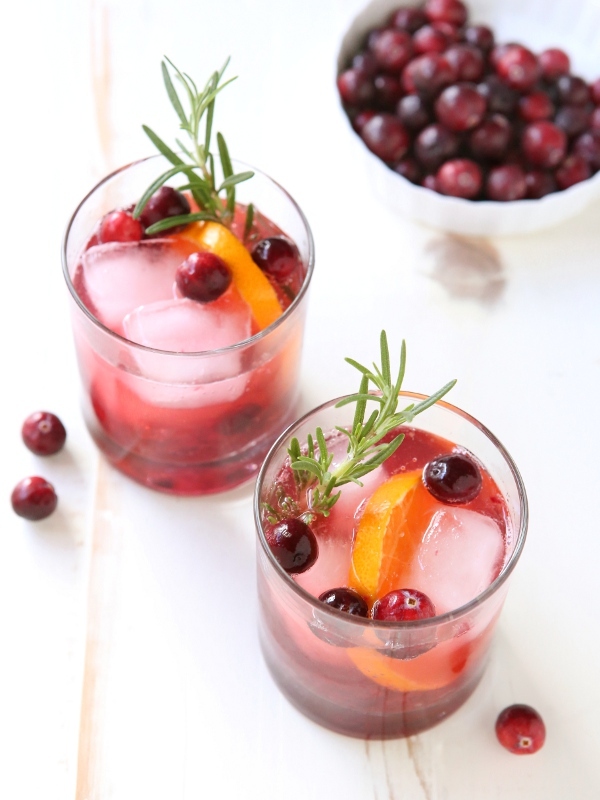 Cheers for cranberry sauce cocktails! 🙂 I’ll have to make these, too, on Thanksgiving for sure. Happy holiday, lady! *Slurp!! * I love the sound of cranberry and gin, what a great combo! 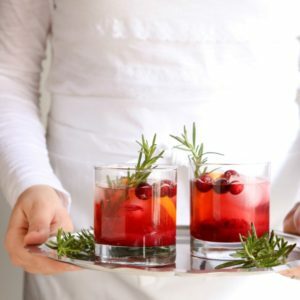 I love the idea of using cranberry sauce for a cocktail! I made plenty of extra so I’m totally going to use this as one of our drinks for Thanksgiving! This is such a good way to use leftover cranberry sauce. So many leftover recipes require you to go out to the store to get more ingredients to make an even heavier dish. 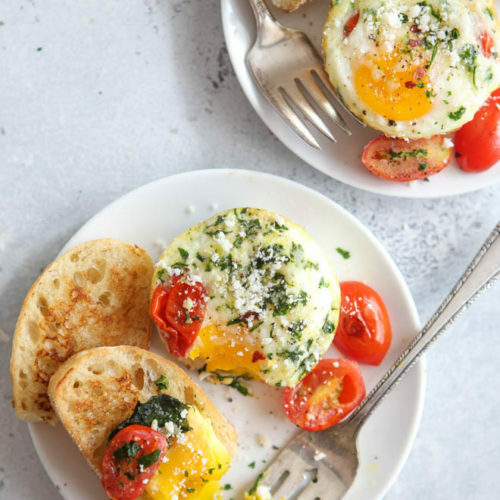 This focuses on the flavor you love and uses it in a new way. I’m not one for gin, so will be subbing in vodka instead! Great idea and great pics. This looks amazing! Might be my Christmas party drink! This is 100% genius. Making one every night this week. Hiccup!